Meg's Food! 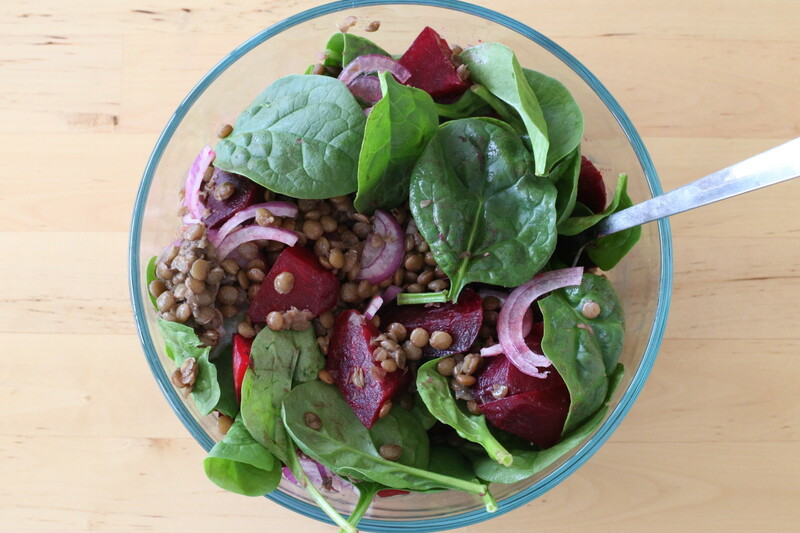 | Lentil and Roasted Beet Salad - Meg's Food! Look at how colourful this salad is! I feel like beets have a bit of a bad rap. But they are so awesome. And when you roast them, they become sweet, luscious, gorgeous. Plus, they are PACKED with vitamin C, fibre, and folate! YUM. Roasted beets are just lovely any time of year. While beets can be eaten raw, roasting them brings out their sweet side, turning them soft and delicious. I paired my roasted beets with lentils, crunchy red onions, and baby spinach. Drizzled with a citrusy dressing, this salad is just the pick me up you need! Preheat oven to 400. 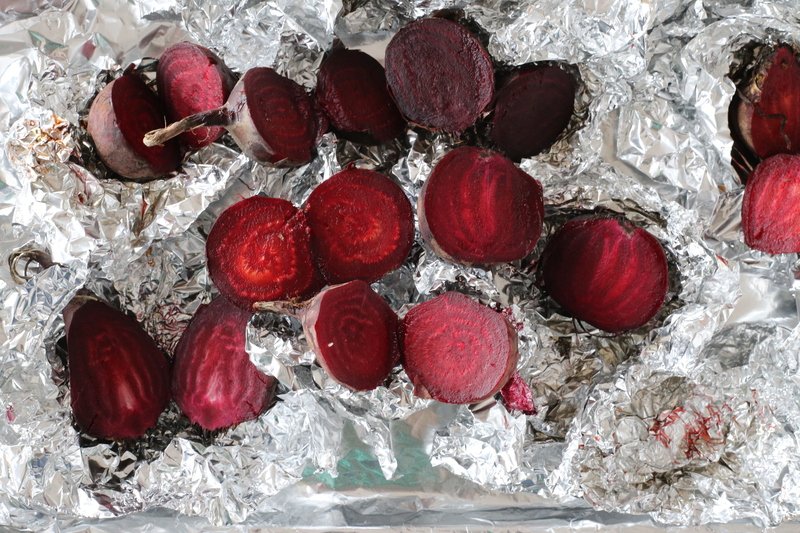 Scrub beats (don't worry about drying them) and wrap loosely in aluminum foil, and line a baking sheet with aluminium foil (in case any of the beets decides to leak). Roast until fork-tender, about 50 minutes. Every 20 minutes or so unwrap the beats to make sure they aren't scorching - if they are, add a little water and warp back up in foil. Let cool. When the beets are cool enough to handle, peel and chop. Combine lentils and enough water to cover by about 2 inches in a small saucepan. Season with salt and pepper. Bring to a boil, reduce to a simmer and cook until lentils are soft. Drain any excess water. 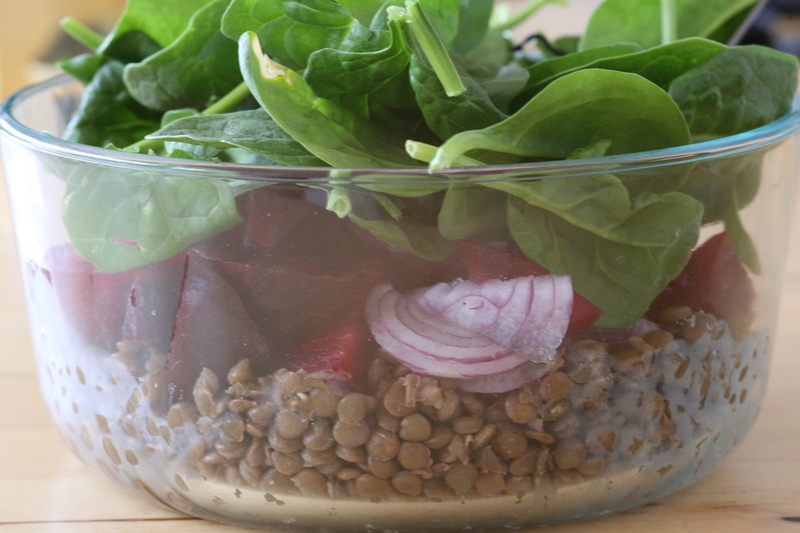 Combine lentils, beets, spinach, and red onion in a large bowl. Whisk together tangerine juice, olive oil, salt, pepper, and maple syrup and drizzle over salad. Add some colour to your life! This tasty salad is a super healthy way to brighten up your week. 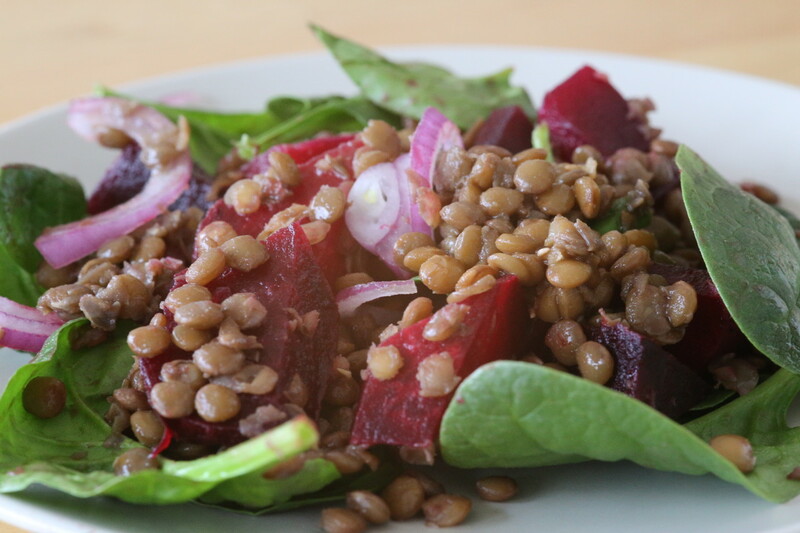 This entry was posted in Dinner, Lunch, Recipes and tagged beets, lentils, salad, spinach. Bookmark the permalink.